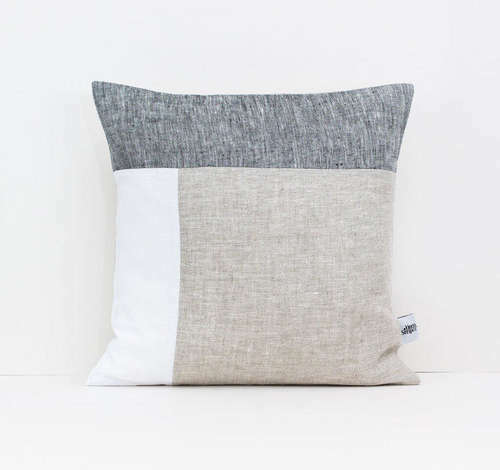 Contemporary Grey/White/Beige oblong cushion cover handmade to order in Liverpool using high-quality eco-friendly linen. Dimensions - 12 inches x 20 inches. Custom sizes available, please get in touch. 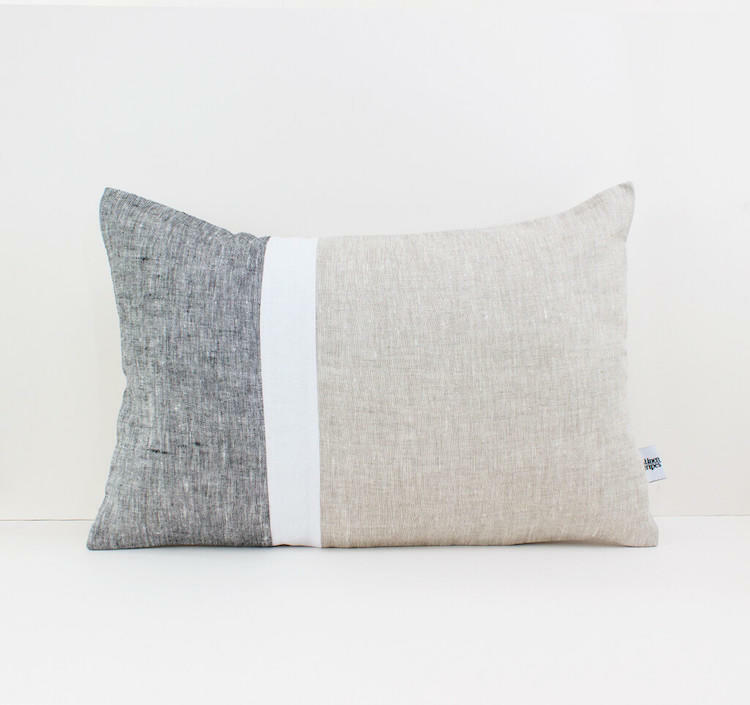 Please note that the cushion pad is not included. 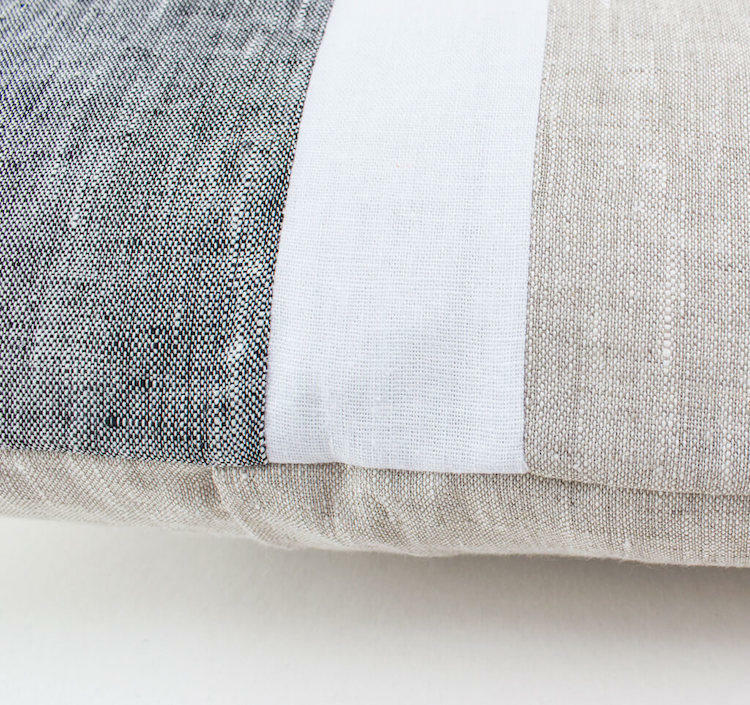 Materials - 100% Eco-friendly linen. 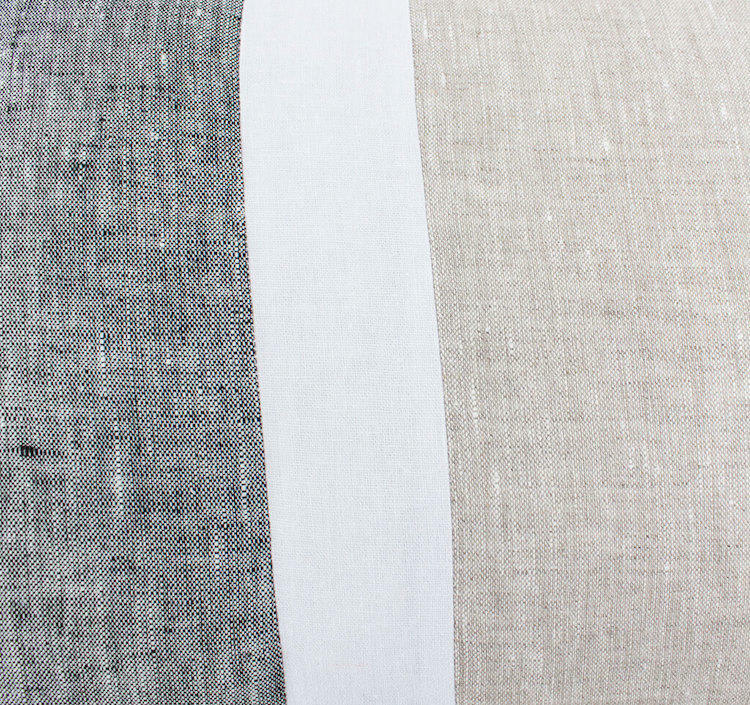 Product Packaging - White tissue paper, White degradable bag. 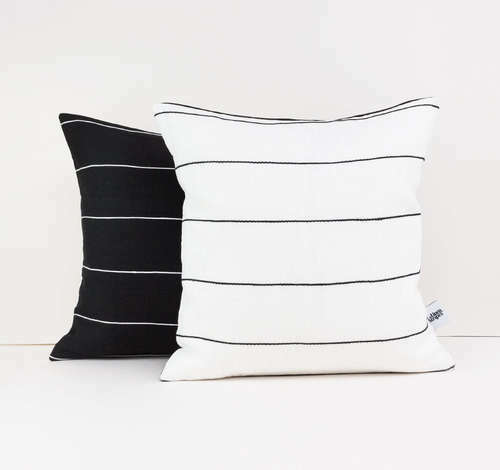 Linen and Stripes is the creation of husband and wife team, Anna and Istvan and their mission was to set up a homeware brand with stylish and natural products. 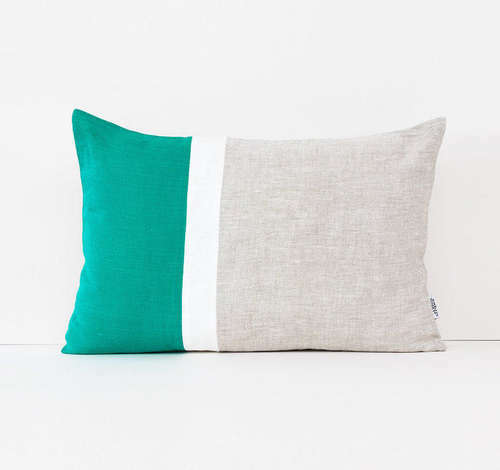 All their cushions are handmade in Liverpool using eco-friendly materials with an emphasis on a classic but modern look. Anna and Istvan take their inspiration from everyday life, travelling and nature, the results are high quality and eye-capturing pieces. 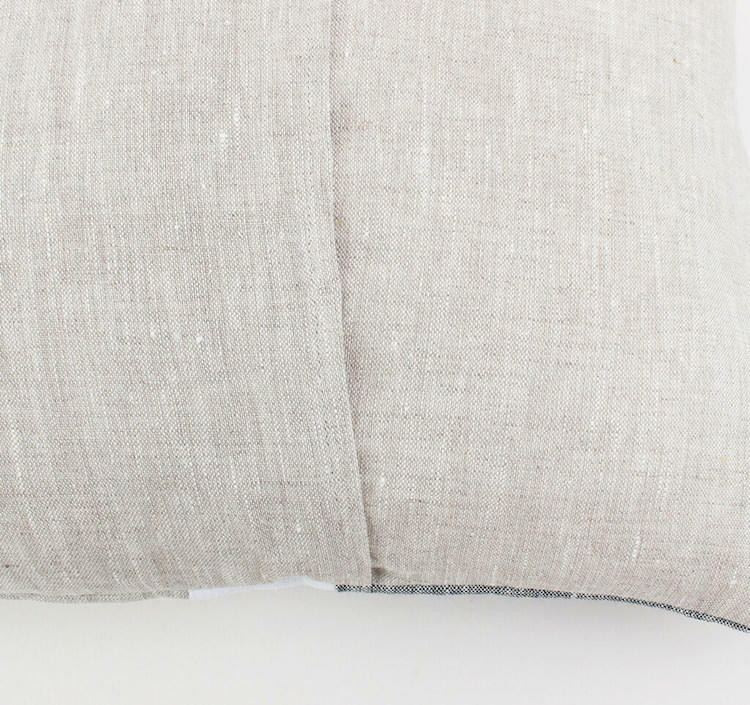 Allow 2-3 weeks for the cushions to be made and delivered.